Fewer travelers head east – that’s why you should. Head East from Germany, and you’ll find that your Euros are less often accepted. English is not so widely spoken. The streets can appear grittier, with concrete apartment blocks often blocking out the sun. Poland has no Leaning Tower of Pisa, Budapest boasts no colosseum, and the rushing Danube may be less associated with romance than the sedate river Seine. But travel with your eyes open, and you’ll find just as much beauty, history, fun and adventure in the East as others do in the well trodden West. Average wages behind the historic ‘Iron Curtain’ are still drastically low, which is rough on the locals, but can benefit the intrepid traveler: You’ll find that three course restaurant meal in Sofia, Bulgaria can cost you less than a cocktail in a Parisian bar. So pack a phrase book and dress up warm – we’re heading East! 8 How much does a trip to Eastern Europe cost? 9 How long do you need to explore Eastern Europe? The definition of Eastern Europe can be a bit contentious. I moved to Poland a few years ago and have used this country as a base on and off ever since. While the folks back in England and Australia would tend to see Poland as ‘Eastern Europe,’ here locals often insist on ‘Central Europe,’ and looking at a map, they may have a point. However for the purposes of this article, Poland makes the cut. We’re also going to look at Czechia and Slovakia, Hungary, Romania, former Yugoslavia, the Baltics and Ukraine. To varying degrees, all the countries described fell under the influence of the Soviet Union after the second world war. While most have now transformed into Western leaning democracies, the brutal memory of communism still rings in the ears. Poland and Hungary are sliding ominously towards the far right, and Ukraine’s recent attempt to lurch Westward politically was met with Russian tanks crossing the border into Crimea. While ‘history’ may feel like a thing of the past in London and Rome, here it is still an unfolding story. Once you spend a bit of time staring at a map, you’ll realize there’s an awful LOT of Eastern Europe. Not just in the number of countries, but in the size. Ukraine alone could comfortably fit in several Western European nations. Below I’ll sketch a rough itinerary that involves heading due south right from the Baltics into Bulgaria. You can either complete this itinerary fully (as pictured above) – requiring 5-6 weeks – or just do sections of it. A few things to note is that while most of these countries are in both the European Union and the Schengen Visa Free Zone, there are exceptions – notably Serbia and Ukraine. So be sure to check your visa requirements before venturing out. Also, the below is one hell of a trip and designed to give you a sense of what is available, rather than a definitive prescription – you should, of course, pick and choose. If you wanna head straight to Prague to sample the famed (and cheap) Czech beer before braving the winter streets of Vilnius, then I can’t say I blame you! Highlight: Tallinn. With a population of just 1.3 million, Estonia rapidly reinvented itself after the collapse of communism in 1989, and now is counted among one of the most technologically developed nations in the world. It offers digital citizenship to locals and expats, and is considered a digital nomad hub. If Eastern Europe in your mind is crumbling buildings and long queues for groceries, then start with Estonia to dispel those misconceptions. Highlight: Riga. The historic center of Riga is a Unesco world heritage site, and the beautifully preserved/restored town square is a great precursor of what you’re to expect as you explore countries like Poland and Czechia further south. One of the strongest economies to emerge from the collapse of the Eastern Bloc, Poland’s vibrant present mingles with a history that stretches back over 1000 years, through the glory days of the Poland-Lithuania commonwealth right through to the trauma suffered at the hands of the Nazis and Soviets during the 20th century. I came to this country for a week in 2015, and ended up staying on and off for three years! Spend your final days with the Baltic Sea at Gdansk, formerly the predominantly German free city of Danzig. Walk along the old docks and remember the Solidarity movement that, led by Lech Walesa, resulted in the overthrow of communism first in Poland and then, arguably, across the rest of Europe. One of Poland’s most picturesque cities, a late night stroll through the old town and by the riverside will be a treasured memory. 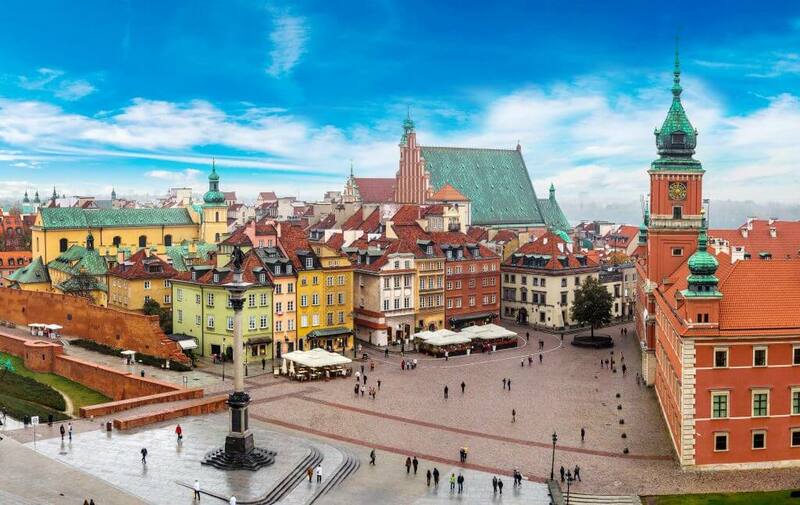 The sight of unimaginable horror during the Second World War as the Soviet Tanks waited for the Nazis to eliminate all Polish resistance before sweeping in and planting the Hammer and Sickle flag over the ruined city, Warsaw’s revival is the stuff of legend. Under the shadow of the imposing Palace of Culture, the historic old town has been painstakingly restored. Visit the POLNA Jewish Museum, and experience some of the finest dining Eastern Europe has to offer among the cities many chic restaurants (Hint: Try Cafe Kafka for lunch). Poland’s biggest tourist draw, and for good reason. The medieval old square is haunting under the moonlight, as rows of horses and cart stand to attention, ready to take the next visitor for a ride. Outside the city you can venture deep under the earth to explore the Salt Mines, and make a painful, but necessary visit to the Auschwitz Museum. Take the night train from Krakow due east to experience something truly off the beaten track. 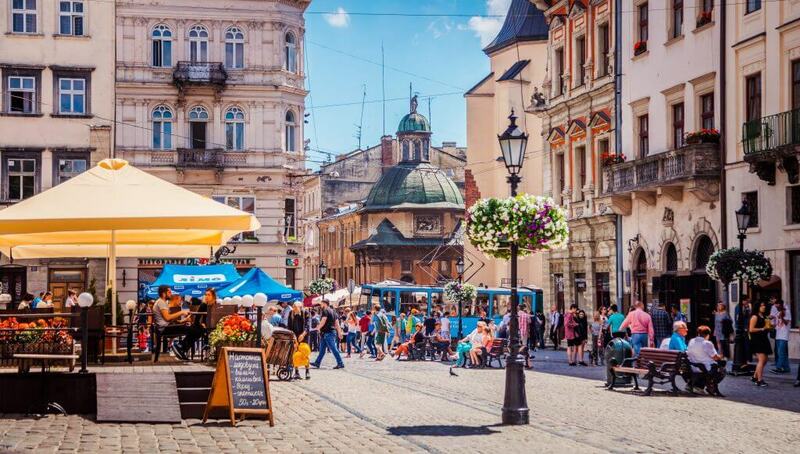 Lviv is a great way to dip your toes into the gargantuan country of Ukraine, and give yourself a thrilling few days. Historically Polish and once known by the Hapsburg name, Lemberg, Lviv boasts one of the most adventurous nightlife scenes you’ll ever encounter. From a bar named Masoch (we’ll let you guess the theme) to multi story clubs, hidden restaurants accessible only with a password, rooftop bars where you sit in broken down cars, a weekend in Lviv will give you enough stories to make your friends jealous for years. Back on the road from Poland, we cross into Slovakia. The nation’s capital, Bratislava, is a rougher, smaller version of Prague (covered below) which rewards a fun weekend. But the Tatra mountains that stretch across the Polish border offer one of Slovakia’s most intoxicating delights. Pro tip: Hit the Polish town of Zakopane just a few clicks from the border for a taste of the local Oscypek mountain cheese, before taking a minibus to the border, walking into Slovakia, and hopping another quick bus to Zdiar, a ski resort town. Stay in the Ginger Monkey Hostel for cosy diggs and to meet fellow travelers. 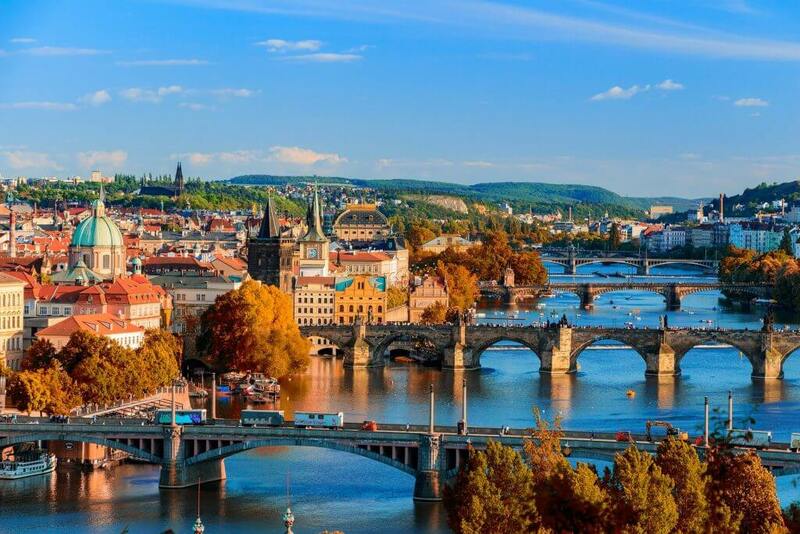 It’s a bit out of the way and means a slight tack westward, but Prague, the dynamic capital of Czechia (formerly the Czech Republic, formerly formerly Czechoslovakia) is worth making the trip. Climb the steep hill to Prague Castle, and see the spires and winding streets of the city at your feet. Jostle with buskers on Charles Bridge before settling into one of the cities many cavernous beer halls for a sip (or several) of the unbelievably refreshing locals brews that flow like water and cost half as much! Hungary’s mighty capital is growing in stature as a major Eastern European destination, rivaling Prague and Krakow. Divided into two halves, hilly historical Buda and flat, gritty Pest, the glory of the Austro-Hungarian empire, the horrors of the Arrow Cross Fascist regime and communist oppression, and the contemporary hipster revival of the city can all be felt after just a few hours in town. Climb up to the exquisite Royal Palace, drink the night away in a ruin bar (start with the gigantic Szimpla), soothe your soul in a thermal bath, and burn your taste buds with spicy paprika filled Goulash. For more tips on activities to do in Budapest, check our other guide here. 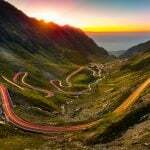 From here to Sofia you’ll most likely have to choose one of the below routes, which, like different prongs on a fork, all forge their own path to Bulgaria. Step out of the European Union and into a scarier, starker version of history in Belgrade. The winding, cobbled streets are beautiful, the old ladies haggle over the price of cucumbers on the street markets, and the clubs rage until dawn. But as with much of Europe, there’s a darker side to history here. You’ll see at the ancient fortifications, in the city’s museums, and in the bullet holes still visible on some older buildings. Bucharest is a rough and ready capital that will still provide plenty to distract and entertain you. But for me, Romania is a country of rolling green hills, famers on horseback, dark grey clouds and mercifully warm temperatures. 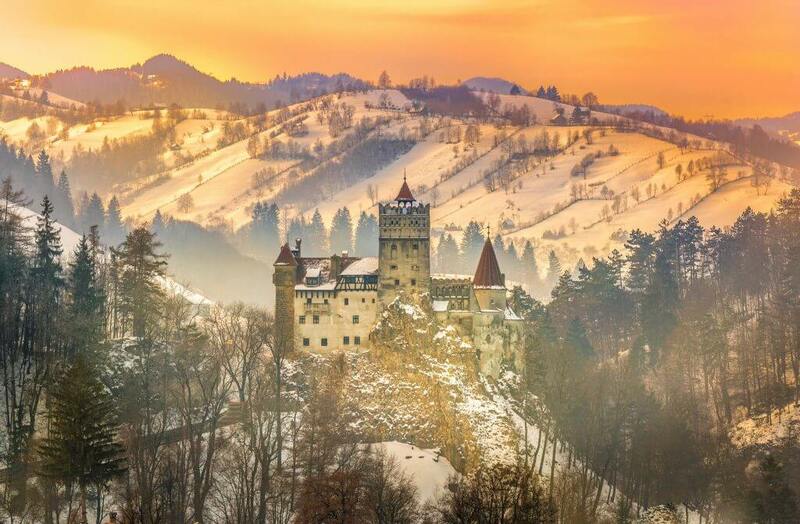 Considered one of the best road trips in the world, rent a car and take it carefully over the Transafgarasan Highway for incredible views and, of course, a climb up the steep stairs to Vlad the Impaler’s vertiginous castle (Bran Castle). Go ahead, be a tourist, give yourself a treat. Famous as the filming location for much of Game of Thrones, this seaside city will be sure to rack up the Instagram likes. Don’t want to get caught up in the tourist crowd? 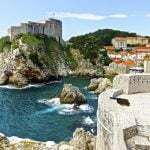 Croatia’s warm and picturesque Mediterranean coast can also be experienced from cities like Split, which also boast fresh seafood and, of course, cheap local beer sold in gigantic plastic bottles. Živjeli! Congratulations, you’ve traveled 2600 kilometers from Tallinn (more if you took in Prague and Lviv), and you’ve made it Bulgaria! Here you will truly feel yourself in Eastern Europe as the city’s many monuments memorializing communist horrors attest. 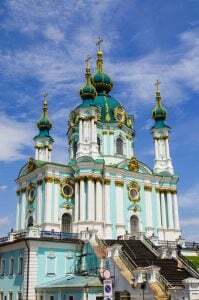 Sofia is most notable for its clash of influences, the Cyrillic writing system and Orthodox religion from Russia – see the Alexander Nevsky Cathedral – merge with an Ottoman infusion from Turkey, just over the border. It’s truly a city on the frontier. And if you choose to push on and take that overnight bus to Istanbul, then the adventure only continues. How much does a trip to Eastern Europe cost? The low cost of living in Eastern Europe constantly amazes me. To take a sample at random, I am writing this article from a cafe in Poznan, Poland. A large local craft beer would cost $2 USD, a latte about the same, and a delicious, high quality hot meal about $6-8. This is typical of Eastern Europe, with countries like Ukraine, Serbia and Bulgaria offering even cheaper rates. The major tourist towns like Prague and Budapest can sting you on accomodation if you don’t book in advance, and always be wary of nightclubs and ‘bars of ill repute’ where scams are known. Traveling Eastern Europe can realistically be done for as little as $30-50 USD / day, including accomodation, food, beer, transport and attractions. How long do you need to explore Eastern Europe? The above itinerary – done properly – would require about 5-6 weeks, but you can of course take as long or as little as you like. 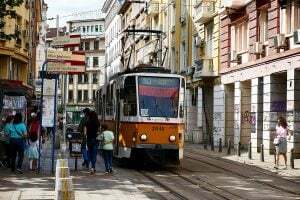 Distances can be large and outdated transport infrastructure can mean uncomfortable journeys (hold tight to your wallet on the cheap but dusty overnight train from Belgrade to Budapest. When I did this journey in 2015, I paid just 10 Euro for the ticket including sleeper berth!). While rail passes are highly recommended for travel in Western Europe, in the East they are less necessary. Train travel – even when booked on the day – is outrageously cheap, with $20 being more than enough for almost any internal journey you’re likely to make. For international journeys, consider overnight buses and trains to save on a night’s accommodation. Book in advance if going between major cities – for example, the overnight train from Warsaw to Budapest can get expensive (100 euro +) if booked at the last minute, but if booked in advance, will be a mere fraction of this. Most cities listed above can easily be accessed with cheap Ryanair flights from London and across Western Europe. Check Skyscanner and select “Whole Month” to visualize the cheapest dates. If traveling from afar, cities like Berlin and Munich in Germany can make convenient hubs. I’ve also found Prague to be a surprisingly affordable final destination when flying all the way from Australia / New Zealand. If coming from Scandinavia, Gdansk in Poland can sometimes be reached for as little as 15 euro. Cities like Krakow and Budapest boast a thriving youth hostel culture, ideal if you want to meet other travelers and find drinking buddies for the evening. In Budapest I give my warmest recommendation to Carpe Noctem – I practically moved in. Elsewhere, Booking.com can offer cheap short term rentals on apartments, while AirBNB is a slightly more expensive, but more comfortable option for doing the same. Although you may not even consider doing such a thing in Paris or London, don’t be afraid to be bold and check TripAdvisor for a nice hotel – I’ve found 4 or 5 star luxury for under $50 a night across Eastern Europe. It’s no secret: Eastern Europe gets cold, with subzero temperatures not unheard of from December through to March. This has its compensations – nothing is more beautiful than a medieval town center blanketed in white snow. Christmas means Christmas markets and hot spiced wine served out of large cauldrons, but it’s also when everyone has gone home with their families. My favorite time to travel is September, when it’s still hot, but the main tourist crowds have wrapped up their summer holidays, leaving the streets clear to explore. Let’s start with drink! Beer is literally cheaper than bottled water in most countries described above. Look for the local brews, but be careful – in this part of the world, beer packs a punch, and 9% alcohol volume brews are not uncommon. Vodka is available in millions of different flavors – try Zubrowka in Poland, and local fruit spirits such as the potent Sliwowica (plum spirit) are easy to find. In Hungary, try sweet and rich Tokaj wine. Eastern European cuisine tends to be heavy – food to soak up the vodka and prepare you for a long winter. Pierogi (polish dumplings) make for a hearty meal, as does Hungary’s goulash, Prague’s many manifestations of pork, and Lithuania’s rich, dark rye bread. Look out for Milk Bars in Poland for cheap meals shoulder to shoulder with students and vagabonds. Supermarket chains like Lidl and Tesco can provide you cheap groceries basically everywhere you will go. Every city you visit will have a museum testifying to ancient glories and more recent horrors. Budapest boasts thermal baths, Poland has its salt mines, Slovakia has mountains and Prague – well, Prague has beer and a lot more besides, and pretty much everywhere has a fair share of castles! But the best thing to do is simply to wander, walk the cobbled streets with your eyes open, look at the people, and try and learn a few snatches of the local languages. Walking tours are available in most major cities – see Viator for what’s available in your destination. Drink beer, brave the local flavored vodka, and eat the hearty rich meals with a focus on meat, potatoes and bread. Yes, you’ll likely come home a few kilos heavier! Eastern Europe is rich in history and has seen the conflicts of several empires. Enjoy the historic old town squares, castles, and museums, but mostly just walk the fascinating streets and listen to the stories of the people you encounter.